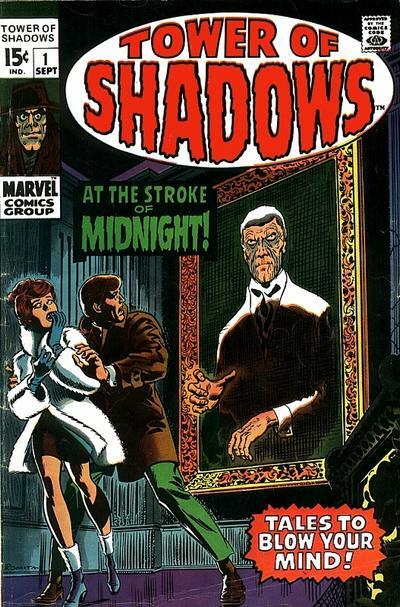 Halloween Leftovers: Jim Steranko’s Tower of Shadows – Dork Forty! 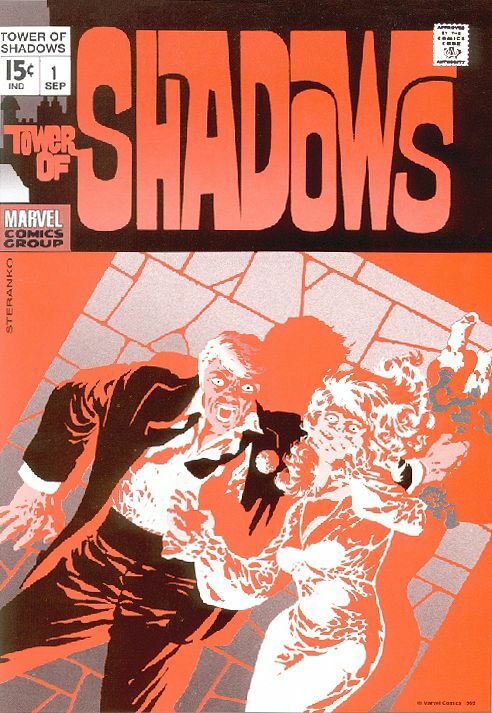 That’s Jim Steranko‘s cover for Tower of Shadows #1, Marvel Comics’ entry into the late-60s horror comic boom. It’s a striking piece of pop-art, from the killer logo to the violent red hue. This thing must have leapt off the rack back in 1969. Which just goes to show you that even Stan the Man made a bad call every now and then. Don’t get me wrong; that’s certainly a fine piece of John Romita artwork. 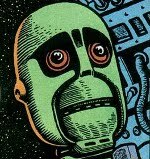 But it’s also very much a funnybooks-as-usual sort of cover. It lacks the grab-the-reader-by-the-freaking-throat zing of the Steranko piece. Tower of Shadows is also an interesting historical footnote, because it marked the beginning of the end for Steranko at Marvel. After having his cover rejected and his story inside the issue altered (also by Lee), he quit outright. And though Stan was able to talk him into coming back once they’d both cooled off, Steranko did little more than covers afterward, and was pretty much gone for good by 1972. Tower of Shadows itself was gone even faster. In spite of featuring stories and art from top talent (including EC horror vets like Wally Wood and Johnny Craig), it didn’t sell. With issue ten, it was renamed Creatures on the Loose,and began featuring a more profitable mix of old Marvel monster reprints and new sword-and-sorcery material. But you’ve gotta wonder how things might have gone if Stan had been a little more open to Steranko’s visual style.